I’ve talked about lamprey immune systems several times (here, here, and here). I find them fascinating because it shows both how our own immune system developed, and also shows alternate routes that can lead to a pretty good, but very different, immune system. This has always amazed me, because an adaptive immune system doesn’t work in isolation; the pieces don’t work alone. You need all kinds of moving parts — all the complex molecular pieces that chop and snip DNA to form T cell receptors and antibodies, all the multiple parts of a thymus that screen T cells for functional and safe receptors, the MHC molecules that the receptors see and all the pieces that snip and shuffle around peptides for that system, the spleen and lymph nodes that let lymphocytes interact with other cells, — and it seemed that all these pieces abruptly appeared and put themselves together, like a fine watch, in one evolutionary blink. When I first learned about this, some 15 or 20 years ago, I told myself that this was an illusion, that once more species were looked at we’d see the history of these moving parts in other common ancestors. Of course, this is exactly what’s happened since then. We see accidental, random parts in sea urchin genomes (I talk about that here) and we see other bits and pieces arising in lampreys and hagfish (in the links at the top). But step back a little, and look a little deeper, and we see some familiar parts. 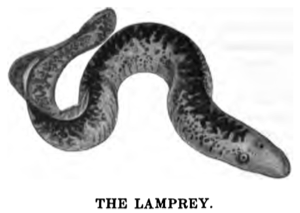 Lampreys do, in fact, have variable receptors, just like T cell receptors and antibodies, and those receptors are made by chopping and shuffling genome DNA, just like TcR and antibodies, and are expressed in their lymphocyte-like cells, and some are secreted (like antibodies and B cells) and some are cell-associated (like T cell receptors). And here’s the other amazing thing: At the molecular level, the lamprey receptors are completely unlike T and B cell receptors. 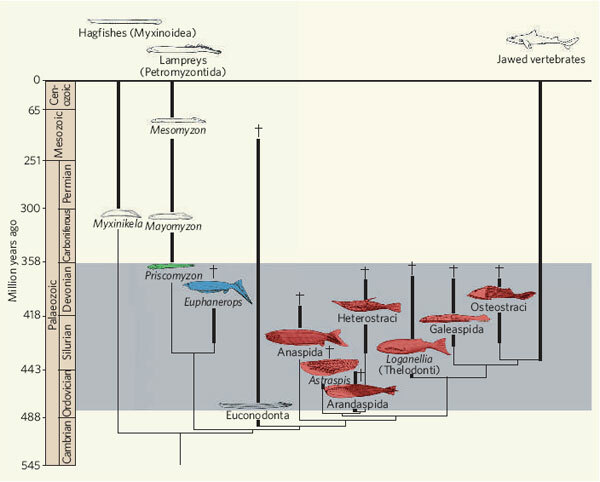 The lamprey lineage came up with a completely different system that allows them to do pretty much the same thing as the shark lineage. Their receptors are different kinds of molecules, and the system that shuffles the genomic DNA is different. 5 Yet, the functional end product is the same — a system that has immunological memory. An adaptive immune response, that’s quite alien to our own, but that works pretty damn well. There is still a lot we don’t know about lamprey immunity (how does it present self-reative receptors, with no thymus?) but what we do know is just so amazing, I’m completely fascinated by it. It beautifully illustrates two of the basic features of evolution — building on previous structures, whether related or not; and alternate solutions to the same problem. Herrrin and Cooper have a short and dense, but very interesting, review, 3 that prompted this particular post. This entry is filed under Evolution, Immunology, Science. You can follow any responses to this entry through the RSS 2.0 feed. Both comments and pings are currently closed. 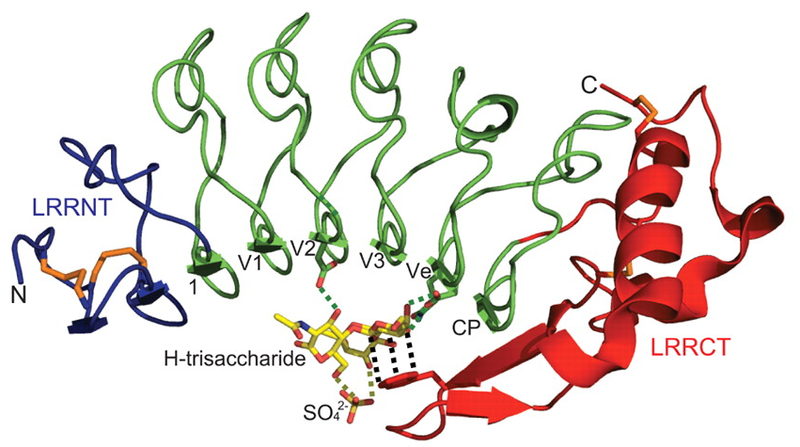 I think “how does it present self-reative receptors, with no thymus?” has a typo; “prevent”. I don't think this is a typo, to prevent self-recognition, the body presents self-antigens in the thymus :). Great post by the way! The lamprey immune system always fascinated me when I first heard about it.. Different paths leading to a common solution: that's a lot of evolution lessons in a single story right there!